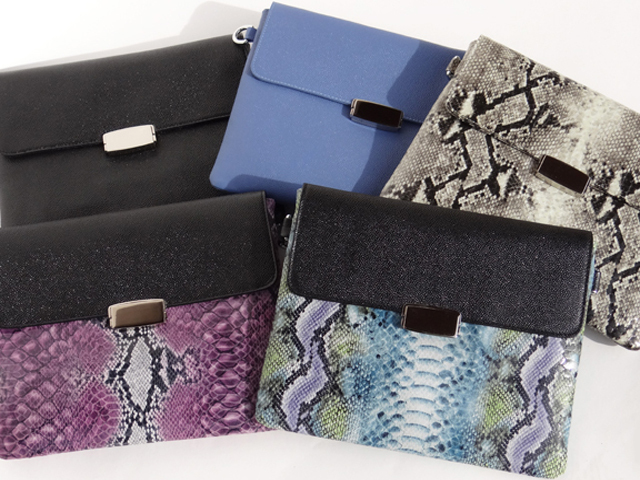 We recently completed new lambskin clutches. The “Milton” collection has two open interior pockets. The first pocket has leather credit card pockets and fits a wallet, passport, boarding tickets, small magazines, etc. The 2nd pocket fits an iPad mini. The exterior back has an open slit pocket. Great for travel. It also comes with a light crossbody chain strap.